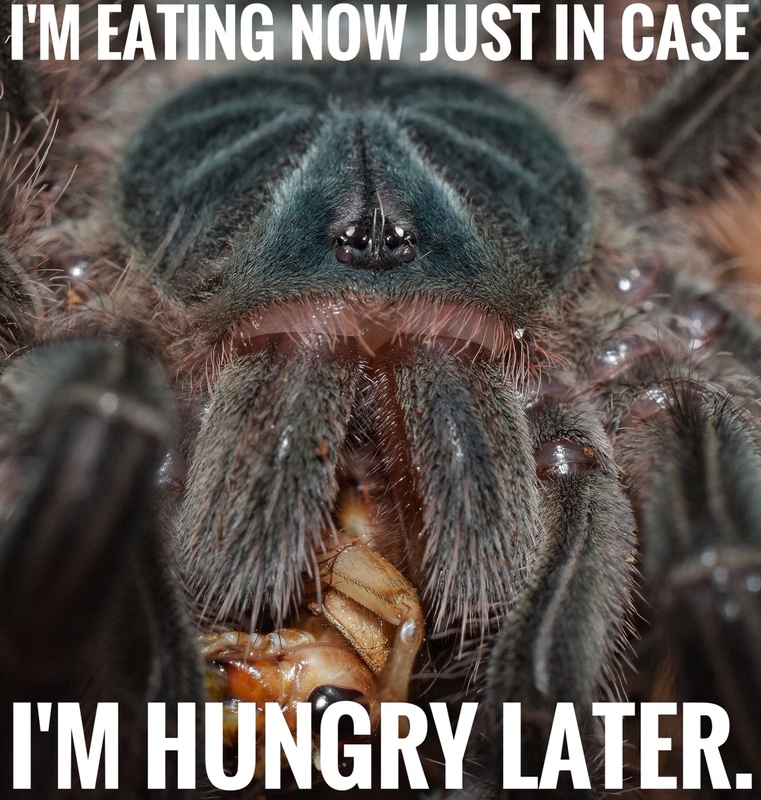 I just got my first tarantula about a week or so ago and she has already captivated me with her personality. A couple of the pics I took of her make for amusing memes (IMHO anyway ). Has anyone else done this? MOD NOTE: Before this gets started. Any meme posted must fully belong to the person posting it. Meaning you can not use a photo from one of the meme sites. I'll have some to share later after work. I love this! 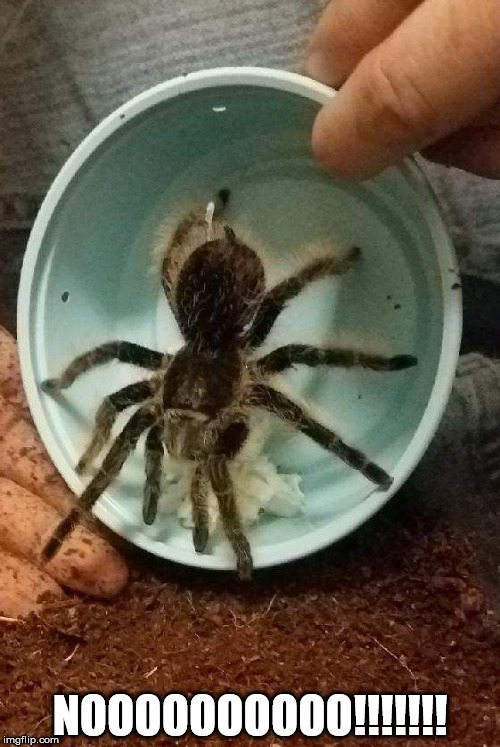 Yes, she's my first tarantula. I've wanted one for over 20 years! I'm sure I'll have lots of questions over time. Thank you so much for the warm welcome! A couple of the pics I took of her make for amusing memes (IMHO anyway ). Has anyone else done this? 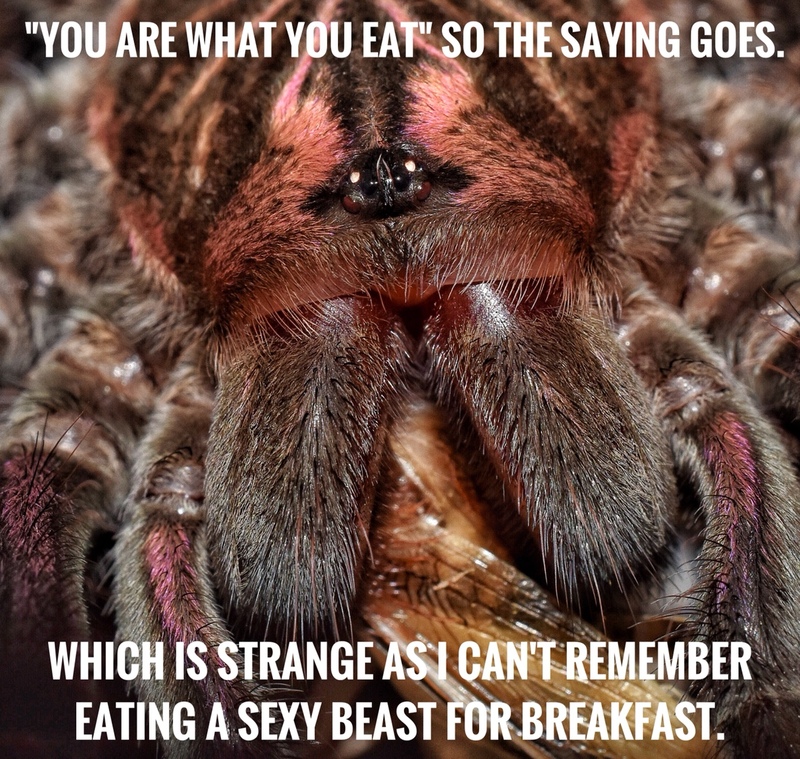 Spider anatomy according to arachnophobes.